In Mekong Delta, it is estimated that there are about 500 temples of the Khmer. The most well-known temples in Southern area are Vam Ray temple (Tra Vinh), Bat temple (Soc Trang), S’Doach Chop temple (Tri Ton, An Giang), etc. Most of Khmer temples are museums of finely carve art. Stable and majestic temples are considered a center of religion, education and culture. The temple is outstanding with the main building- a building with many floors, golden curved roof, and finely carved statues. There is no sound of bell and wooden gong in the temple. It is daily cared and a place for contemplatives practice. 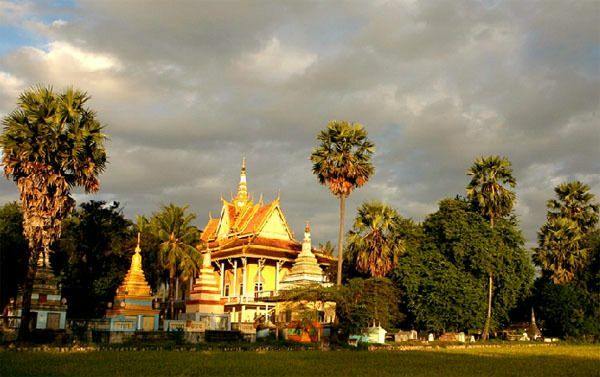 Contemplative custom has long been in the traditional culture and belief of Khmer people in the Southern region. Typically, each temple has at least 5-10 contemplatives, or may up to 60-70 ones who come here to study and practice.